One of my favourite Christian commentators and authors is Rachel Held Evans. 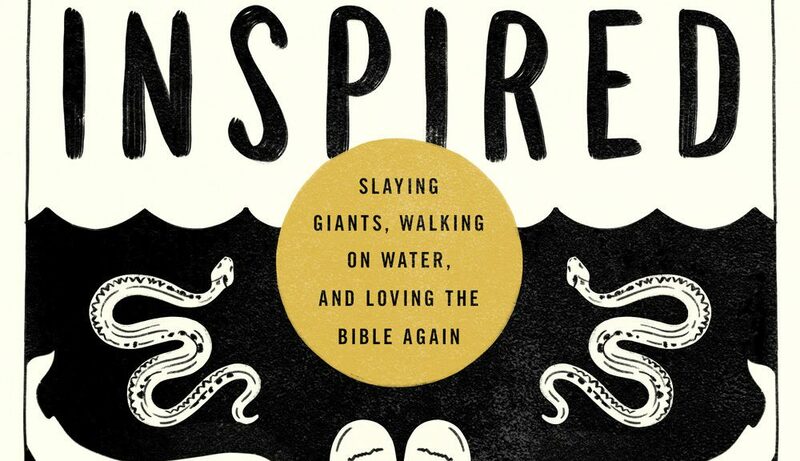 Her latest book, “Inspired” has just been launched, and it looks fantastic (it’s on my reading list for the holidays). 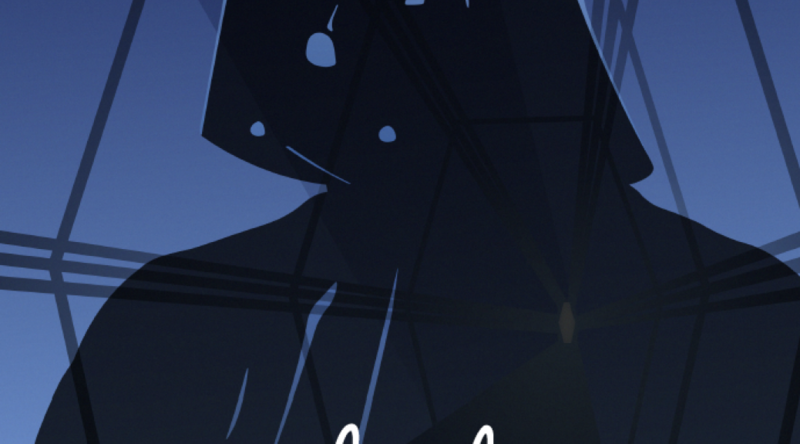 Today, on her blog, she provides an extended extract from the book, and it’s amazing. Read it in full here, or my extract of her extract below. And buy the book! The Bible teems with monsters. From the sea dragon Leviathan, with its fearful scales and claws, to the rumbling Behemoth with brasslike bones and cedar-strong tail, to the mysterious giant fish of the Mediterranean Sea that swallowed Jonah whole, the creatures of our holy text practically roar and fulminate from the page. In a vision, Daniel encountered four great beasts — one like a lion with eagle’s wings, one like a bear with three ribs in its mouth, another like a leopard with four wings and four heads, and a fourth with iron teeth, bronze claws, and ten horns (Daniel 7). The book of Revelation combines these images into a description of a single monster rising from the sea, resembling a leopard, lion, and bear, with “seven heads and ten horns, and upon his horns ten crowns” (Revelation 13:1 kjv). The beast is joined by a fearsome consort, a fiery-red dragon, whose tail thrashes so widely it sweeps a third of the stars from the sky. Biblical beasts can represent several things—the awe-inspiring mystery of the natural world, the fearful chaos of the unknown, the sovereignty of God over even the most powerful forces in the universe—but in the case of the mutant creatures of Daniel and Revelation, they represent the evils of oppressive empires. I collect Christmas music. I have been doing so since I was a teenager, and it’s become something of an obsession. I now have nearly 300 albums of Christmas music, spanning every musical genre and era. I have created a YouTube Playlist (here) that includes almost all the songs below, and is a great way to listen through these songs. To get into these lists the songs and albums need something distinctive, they are musically excellent (even if I don’t particularly like the style), they must not be cheesy (so, no Boney M then), and they must capture the Christmas spirit (festive or reflective). I also favoured variety (so that my list of top albums didn’t dominate the individual songs list too much). 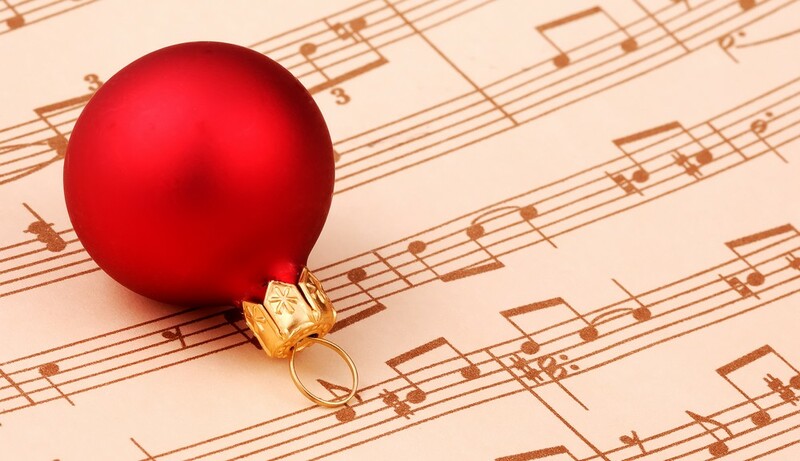 The final criteria is that I included not just popular musicians, but Christian artists and worship albums as well – it is Christ-mas, after all. These lists are going to be updated regularly, and change as I get suggestions and come across new songs and albums (and get slapped down for my initial choices). I’d love to hear your suggestions for these lists, and any songs or albums you think are better than the ones in my lists below. Please remember that it’s actually impossible to create a “best of” list of Christmas songs. It’s actually better to be clear on what musical styles you prefer, and then get the best Christmas album in those styles. It’s also a good idea to select the best version of each Christmas song you like. That’s what I’ve done below, knowing full well there is not one chance that any list of “best Christmas songs” will ever be satisfactory. There are just too many musical genres competing for attention. So, add your voice below. 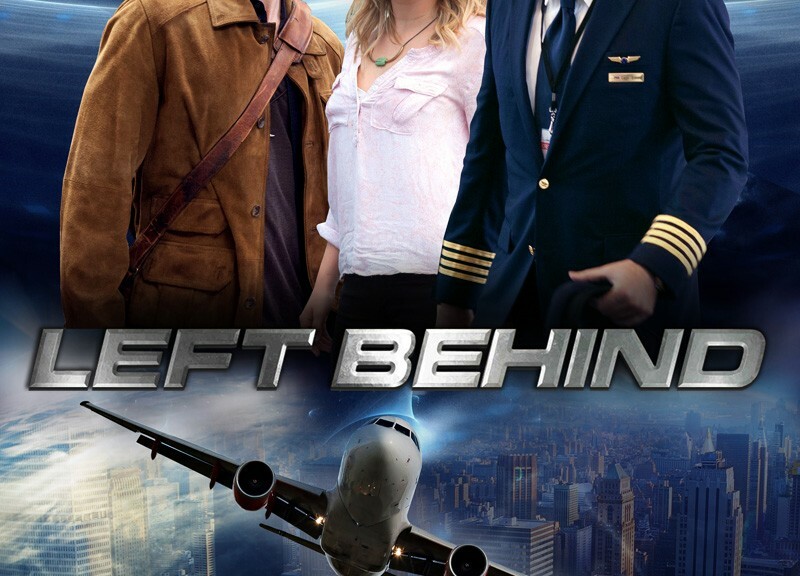 Apparently Nicolas Cage’s latest movie, “Left Behind” is horrid (see movie website and trailer here). Critics are absolutely panning it, and from a few reviews I’ve read it sounds like another of Cage’s duds (I like him, and he has done some really great movies, but he’s done some stinkers too). But even if the movie itself was any good, the premise is bad. In fact, horrific. It is based on the second best selling book series of all time (after Harry Potter) by Tim La Haye and Jerry Jenkins, “Left Behind”. This 12 book series tells a variety of stories about the rapture, and what happens in the aftermath of all the world’s Christian believers disappearing “in the blinking of an eye”. Especially in conservative Christianity, this 150 year belief (yes, it’s not something the historic church has believed) that comes straight of dispensationalism, has taken hold and is even an article of faith for many (by writing this blog, I am guaranteeing that I will be getting a long list of loving comments… watch my Facebook feed for evidence of the wrath of the faithful). The problem is that this concept is entirely unbiblical. Not only does the word “rapture” never appear anywhere in the Bible, the two verses that the concept is based on have been badly misunderstood on the basis of a very simple misinterpretation of a single Greek word. I also think that the whole concept of a rapture goes directly against the central message of the Gospel itself, but I’ll get to that in a moment. I am not a lone voice in this. Some very significant Biblical scholars have carefully debunked the concept. Let’s start with that Greek word. The word for *meet* (εἰς ἀπάντησιν) in 1 Thess. 4:17 (see also 1 Cor. 15:51-54 and Phil. 3:20-21) was a technical term that described the custom of sending a delegation outside the city to receive a dignitary who was on the way to town. The delegation would go out to meet the guests and then immediately return to the city with them – basically just escorting them into the city. Luke uses this term in this way in Acts 28:14b-15: “And so we came to Rome. The believers from there, when they heard of us, came as far as the Forum of Appius and Three Taverns to meet (εἰς ἀπάντησιν) us.” Therefore, what Paul is suggesting in 1 Thess. 4:17 is that the dead in Christ will be raised, caught up with Jesus in the air, and then come straight back down to earth with Jesus. That is in fact where Jesus is heading: to earth. This fits pastorally with what Paul’s trying to say in the rest of 1 Thessalonians, as he encourages persecuted believers to understand that they will be vindicated when Jesus returns. The whole Bible points to the fact that this earth will be renewed and restored to fit God’s original creation plan. It’s an incorrect view of the end times that sees Christians being “rescued” from a “dying” planet that is then destroyed. In fact, the Bible says the opposite: God comes down, establishes a new Jerusalem, restoring this earth. This may be figurative language, but it’s the best we’ve got, and at no stage do we see this earth being done away with, or being left to rot. God’s game-plan has always been to bring heaven to this earth. Not to take us away from earth into heaven. One of the most anticipated books of the year is released today. 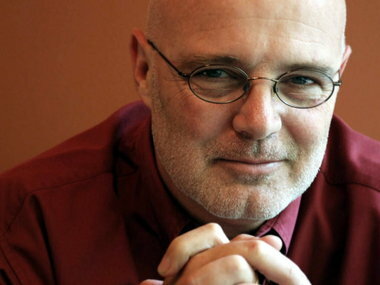 My friend, Brian McLaren, launches his latest book, “We Make the Road by Walking”. I know that this book has been almost a decade in the making in his mind, and a full year of focused writing. Early reviews have been brilliant, and I am looking forward to getting my copy. Here’s why you should get a copy. This book is designed to take us on a journey through the Bible and the Christian faith in a year. It’s 52 chapters are short reads with reflections and group study guides. Organized around the traditional church year, each chapter reflects on a different story from Scripture and invites contemplation, discussion, and action. People who are committed Christians, but have lots of questions, doubts, and frustrations with the version of faith they’ve been given and would like a fresh start are really going to get a lot from this book. Read more about the book here. You can read the first three chapters online here. UPDATE: Here is a review by Tony Jones. May online resources are now springing up to help you work through the book with small groups, families, etc. It’s all about the Bible – and it’s important! The major debates raging in Christian circles these days all actually distil down to one big issue: how we interpret the Bible. 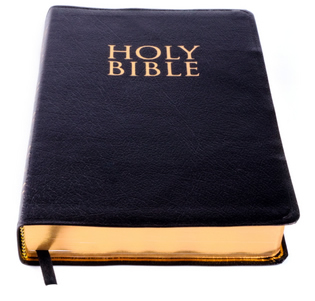 Many people treat the Bible as a combination of scientific textbook and heavenly constitution. If we believe this, then we can use verses and phrases to prove key points of differentiation and detail. We still have to explain away any competing statements or interpretations, but our approach is to look to the Bible for proof in the sense that modern day scientists, jurors or lawmakers would understand. The extreme view – which is completely untenable, but is still the idealised view of many conservative Christians – is that all of the Bible is “literally” true. Liberals might find themselves on the opposite extreme claiming that the Bible contains little more than myths, legends and poems, and that it can really mean anything we want it to. But maybe there are other ways to look at the Bible, that find a middle way between these two extremes. This is the conversation that has taken hold in our time. Biologos’ new project called “Author of Life” that shows how science and Christianity/the Bible synchronise. 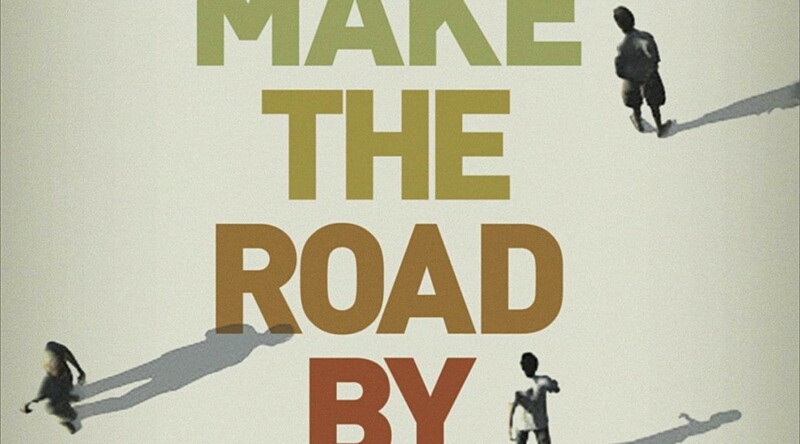 Brian McLaren’s new book, “We Make the Road by Walking” which will launch in June 2014. Details here; UK Kindle version here. Restoring Confidence in the Bible from Oasis UK on Vimeo. Join in. This will define the future of Christianty for the next few centuries. Brian McLaren’s last book was about interfaith dialogue and how we can learn to be both fervently Christian and also gracious to those of other faiths. In a recent event hosted by The Guibord Center, Brian spoke about his book (Why Did Jesus, Moses, the Buddha and Mohammed Cross the Road? 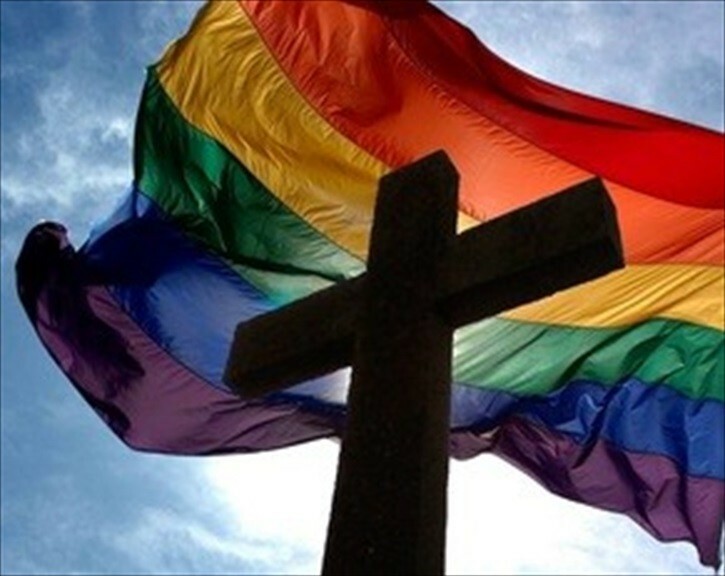 : Christian Identity in a Multi-faith World). You can watch the whole video here. During the Q&A session, Brian gave some fantastic advice on how we should deal with people from within our own faith traditions who attack us and fight against us. I was both impressed and challenged by his advice, and extracted it in a short video. His simple message, and one I am trying to learn, is to have the courage to differ graciously. For further reading on this vital issue, have a look at Brian’s own blog for two examples. And then read Mark McIntyre’s superb blog post on “Selective Grace in the Church“. In recent weeks, conservative evangelical Christians have complained about the Disney movie, “Frozen” (proclaiming it’s theme tune to be supportive of gay rights), campaigned against World Vision withdrawing funding for third world children, and now are up in arms about the Hollywood movie, Noah. It can be embarrassing having to wear the label “Christian” alongside these whiners and moaners. 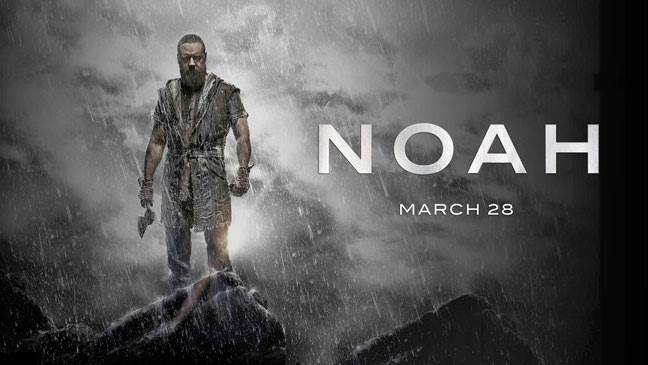 The movie, Noah, was recently released. It is a fictional tale based on the Biblical account. It includes some content from the book of 1 Enoch (it is stunning how many Christians show complete lack of knowledge about the books that nearly made it into the canon of Scripture, and have been accepted as extra-canonical but nevertheless Biblical by more than half of all the Christians who have ever lived). It also includes some references to other ancient flood myths, including the most powerful one, the Gilgamesh Epic, that actually predates the Biblical account (again, most conservative Christians show complete ignorance of these other accounts of creation, the flood and antiquity, even though an understanding of the version Moses wrote must take into account how it interacted with these more ancient myths). The movie, Noah, is a fictional account of the Biblical story, taking some license with the very short version in the Old Testament. It contains typical amounts of extra material designed to build drama and excitement, and does a good job of incorporating a variety of source material. But it does contradict the Biblical account in a number of ways, and dramatically changes how Christians would prefer God to be portrayed. As such, should Christians still watch it? I believe that we absolutely should. And we should take the opportunity to talk about it amongst ourselves and with our children. This really does come down to how we handle truth. Conservative Christians try to handle truth by not engaging with error in any way. Well, “the elders” of their churches should engage with error, effectively becoming guardians and censors, warning “the flock” of dangers and steering them away from error. I prefer the approach which teaches people how to spot error for themselves, and to raise their ability to handle truth wisely. This involves, amongst other things, teaching people how to have conversations about truth, how to investigate, how to think and analyse, and how to ask questions – all the time relying on the Holy Spirit to teach and guide. For the most balanced and rational review of the movie, I’d suggest Greg Boyd’s which you can find here. You can also read Tony Jones’ take on the movie – a more theological reflection on the nature of the Bible and how we should interpret it. I am a huge fan of N.T. Wright, and especially of his work on showing the sweep of God’s redemptive history in Paul’s books. I also particularly like his interpretation of the book of Romans (I have written on this blog before how Romans is a very misunderstood book if you think it is simply a summary of theology by Paul. It is not: it has a very specific and deliberate purpose, aside from which the book does not make sense as a coherent whole). Now at last we see where his sharp-edged, and often controversial, ‘doctrine of election’ in Romans 9 was going. This was never an abstract ‘doctrine of predestination’, attempting to plumb the mysteries of why some people (in general, without reference to Israel) hear and believe the gospel and others do not. Paul never encourages speculation of that sort. Rather, it was a way of saying, very specifically, that the fact of Israel’s election (starting with the choice and call of Abraham) had always been there to deal with the sin of the world; that Israel’s election had always involved Israel being narrowed down, not just to Isaac and then to Jacob, but to a hypoleimma, a ‘remnant’, a ‘seed’; and that this ‘remnant’ itself would be narrowed down to a single point, to the Messiah himself, who would himself be ‘cast away’ so that the world might be redeemed. The point of ‘election’ was not to choose or call a people who would somehow mysteriously escape either the grim entail of Adam’s sin or the results it brought in its train. It was not – as in some low-grade proposals! – about God simply choosing a people to be his close friends. The point was to choose and call a people through whom the sin of humankind, and its results for the whole creation, might be brought to the point where they could at last be defeated, condemned, overcome. Hence the line that runs, in Romans, from 3.24–26 to 8.3–4 and on to 10.3–4, backed up by the summaries in 5.6–11 and 5.12–21. Here is the faithfulness of the Messiah, which discloses, unveils, apocalypticizes, the righteousness of God, God’s covenant faithfulness. As becomes apparent in Romans 9—11, this single divine plan has been hugely paradoxical, because the way in which Israel’s story has been God’s instrument in the salvation of the world has been precisely through Israel’s ‘casting away’. This is the point of the (to us) strange passage about negative predestination in 9.14–29: Israel is simultaneously ‘the Messiah’s people’ and ‘the Messiah’s people according to the flesh’, as we might have deduced from the opening summary statement in 9.4–5. Israel’s story, that is, was always designed (as many second-Temple Jews would have insisted) to come to its climax in the arrival and accomplishment of the Messiah; but that accomplishment, as Paul had come to see, involved the Messiah himself in being ‘cast away for the sake of the world’. Thus Israel, as the Messiah’s people, is seen to have exercised its vocational instrumentality in God’s rescue operation for the world precisely by acting out that newly-discovered and deeply shocking ‘messianic’ vocation: Israel is indeed the means of bringing God’s rescue to the world, but it will be through Israel’s acting out of the Messiah-shaped vocation, of being ‘cast away’ for the sake of the world. Paul finally says it out loud (at a point where most interpreters have long since lost the thread and so fail to make the connection) in 11.12, 15; this is where we see why Paul did not deny the ‘boast’ of 2.19–20, but went on affirming it paradoxically, even though it raised the questions of 3.1–8 to which he has at last returned and which he has at last answered. Salvation has come to the Gentiles – through Israel’s paraptōma, the ‘stumble’ in which Israel recapitulates the sin of Adam, as in 5.20. ‘The reconciliation of the world’ has come about – through Israel’s apobolē, ‘casting away’, the ‘rejection’ in which Israel recapitulates the death of the Messiah, as in 5.10–11. At the heart of one of Paul’s strangest and most challenging chapters we find exactly this theme: that the creator God, having entered into a covenant with Abraham’s family that he would bless the world through that family, has been faithful to his promise, even though it has been in the upside-down and inside-out way now unveiled in the Messiah. A deep, but important, reflection this Sunday evening.